What can I study at Weber State University? WSU offers more than 250 undergraduate degree programs and 11 graduate degree programs. Are there academic programs at WSU that require a separate admission process? If you are interested in one of these undergraduate programs, you must either be accepted by the program or first be admitted to WSU in a Health Science – Associate Track or a different major. Once you begin your studies and take the prerequisite courses, you will be able to apply to the program. Is English proficiency required for admission? The TOEFL and IELTS exams are not required in order to be admitted to Weber State University. 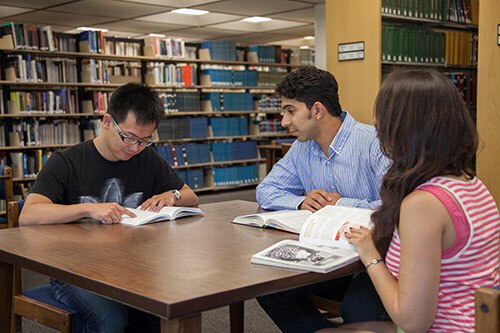 Weber State University has an English as a Second Language Program (LEAP) for students who do not meet our language proficiency requirements. You must score the following test results in order to enroll in academic courses. If you do not meet these requirements, you will be placed in our English Language program. Please send official test results. TOEFL: You will need to score at least 500 paper-based, 173 computer-based, or 61 internet-based. The TOEFL institutional code for WSU is 4941. IELTS: You will need to score a 6.0 overall with a minimum score of 5.0 on each section. The TOEFL and IELTS scores are only valid for 2 years from the day the test was taken. If a TOEFL or IELTS score is not provided or the provided score is below the scores indicated above, you will be required to take our LEAP Placement Test to measure your English language ability. Based on those test results you may be required to register for ESL courses before entering into your academic program. Does Weber State University offer conditional admission? WSU can offer conditional admission to open-enrollment undergraduate programs without proof of English proficiency. However, competitive programs and Graduate degree programs do not offer conditional admission. I want to transfer credit for classes I took at a university outside of the United States. Will I receive credit for these classes? Credits are normally transferred as electives, and it is the decision of your academic department which credits will be accepted towards your degree. Are copies of admission documents accepted? You will be able to upload copies of your documents in the online application portal. However, transcripts must be official. Please request official transcripts sent from all US school attended. If you are unable to send official transcripts from schools outside the US, please bring them with you and show upon arrival. How long does it take to process my admission once the application is complete? Your admission may take a 3-5 days to process. If you do not hear from us after two weeks, please email intladmissions@weber.edu. Please email intladmissions@weber.edu for questions about your application. If you applied online, you can review missing documents by logging into the application portal. How will I receive my I-20 and acceptance documents? We can send your documents by standard mail or express mail. WSU uses eShipGlobal service to allow students to place orders and pay for shipping. Can I bring my spouse or children with me to the United States? Yes. You will need to complete a Dependent I-20 Request form and include a passport copy, birth certificate or marriage license, and a bank statement showing additional financial resources for any dependents you plan to bring with you to the U.S. ($5,500 for a spouse and $3,000 for each child.) Your dependents are issued I-20s in order to apply for F-2 visas. Children on F-2 visas may attend K-12 schools, but dependent spouses will not be allowed to pursue a degree or work. What is the process for getting a student visa? How soon can I arrive in the US after getting my visa? According to SEVP, you are allowed to arrive in the US no sooner than 30 days before the start date on your I-20. Do I need to attend International Student Orientation? Yes. International Student Orientation contains important information to help WSU students maintain their F-1 or J-1 status, register for classes, meet other international students, and learn how to be a successful student. All newly admitted international students are required to attend. Orientation normally takes place on the Wednesday before classes start. Please plan your arrival time accordingly. Your acceptance letter will contain information for setting up your Wildcat Username and password to access the eWeber portal. You will log in to your eWeber account to register for classes, apply for housing, view grades and transcripts, check your student email, access student services, and get WSU updates. Set up your Wildcat username and password. U.S. immigration law requires that all international students on F-1 student visas maintain full-time enrollment. To be considered full time, undergraduate students must be registered for a minimum of 12 credits. Graduate students must be registered for a minimum of 9 credits to be considered full time. Students with F-1 visas who take less than a full course load may become out of status and risk penalties by the United States Citizenship and Immigration Services (USCIS), up to and including deportation. If you have been attending WSU for two consecutive semesters (Fall and Spring), you are eligible for summer vacation. You will not be required to enroll full-time during summer semester in this case. Students who are in the U.S. on other types of nonimmigrant visas have different requirements for enrollment. Please contact the International Student and Scholar Center with questions. Can I get a job on campus to help pay my expenses? Yes, international students on F-1 visas can work up to 20 hours per week on campus while school is in session. You can work full-time on campus during holidays and vacation periods if you intend to register for the next academic semester. In addition, you may also qualify for Curricular Practical Training (CPT) and Optional Practical Training (OPT) employment. See the International Student and Scholar Center to meet with an advisor about these options. Yes. WSU has several options for on-campus housing, including housing packages with meal plans. You will be able to apply for housing after you are accepted to Weber State University. See the Housing Services website for more information, or contact housing@weber.edu. Yes, all international students are required to have health insurance. WSU has a negotiated provider that all international students must use: GeoBlue (Blue Cross Blue Shield). Please visit weber.edu/issc to purchase the required health insurance. Is there financial aid or scholarships available for international students? Federal financial aid is not offered to international students. Internationals students must have sufficient funds to cover all expenses: tuition, fees, books, housing, transportation, living expenses, travel and all costs related to visa issuance and maintenance. Weber State University is pleased to offer the WeberEdge International Scholarship for students who have completed at least 24 credit hours at WSU and meet other requirements. What accommodations does WSU offer for students with disabilities? WSU’s Services for Students with Disabilities provides services to students with disabilities such as note taking, mobility assistance, adaptive technology and accommodated testing. WSU has more than 200 clubs and organizations, including athletic, academic and cultural organizations. You will also have the opportunity to get involved in student leadership and government on campus. How can I find out more about Ogden and Utah?